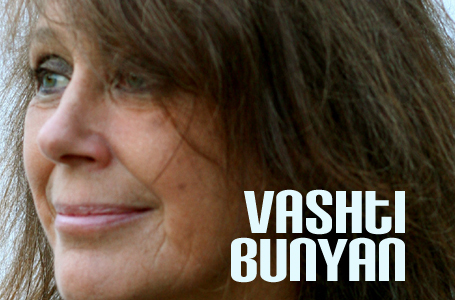 Vashti Bunyan is a born-again folk icon to say the least, a true rarity in the music industry. In 1969, she released Just Another Diamond Day to little or no acclaim. Due to the lack of response, Bunyan hung up her guitar and remained absent from the music industry for nearly three decades. But Bunyan was thankfully given a second chance a few years ago when a select few people - Ryko Music's Paul Lambden and freakfolker Devendra Banhart in particular - put their weight behind re-releasing Just Another Diamond Day and introducing her to a listening public much more receptive and far more able to understand and accepted it. 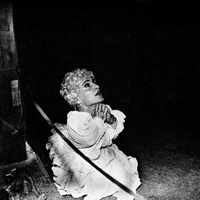 Because of the album's resurgent success, Bunyan was given a new lease on a career that she felt she had failed at 30 years earlier. I recently had the chance to speak with Bunyan about the trials and tribulations of her unusual career, the FatCat release of a the Some Things Just Stick in Your Mind: Singles and Demos 1964-1967 collection, and her rather different perspective on the current music industry. LAS: How did the release of Some Things Just Stick in Your Mind come about? Bunyan: Well, it was after Just Another Diamond Day came out in 2000 and did better than anyone could have ever predicted. We thought we'd maybe sell 200 [copies of the album] and the rest would go under the bed, but it seemed to capture people's imagination - and so the person I did it with - Paul Lambden, the person that put out Diamond Day - he thought maybe it would be a good idea to try and collect together all the other things I had ever done and bring out a collection of the old things I had found here and there. That was seven years ago and it has taken us that long to get all the licensing in place and find out who owns what and to get permission from the various record labels and the big corporate labels that have taken over all the little ones. So it didn't come out until this year. What are your thoughts looking back on these songs, in particular the cut you did for Decca? I loved that one. I really enjoyed doing that one, although at the time I wanted to record my own songs - and me getting a Rolling Stones song was just kind of... [sighs and laughs] I wanted to do my songs! They agreed to put one of my songs on the B-side and I agreed that we would do that. That was my first experience in the recording studio with other musicians and with an arranger. To have my own song arranged by a proper arranger was absolutely wonderful, and he also let me put my ideas in as well. It was a wonderful experience and I wouldn't have missed it for the world. Were you ever hesitant, having listened to these songs from so early in your life, to release them to the public? No... well, early in my life I had great confidence. I had a huge ego about my songs even though I was very shy myself. I always believed in my songs and that was why it was so difficult for me when I couldn't make any headway with them. As you are getting older, do you still hold some of the youthful outlooks on life that you held when you wrote some of these songs and Diamond Day? [Laughing] I think I probably do, in that I still live very much the same. I don't ever expect things to remain the same. I'm very happy with things changing and I'm very happy with the years. I haven't changed my mind about most things. What was the touring experience like for you bringing these songs on the road last year? Oh, it was the best! Because I never did tour before - when I was young, I was never allowed to tour. I think it would have been a good thing if I had been allowed to, because I would've learned all the things that it took me until I was 60 to learn. I enjoyed being on the road so much and I loved being with other musicians and other people. I love traveling and the feel of going along the road - I love the road. I just felt very lucky to have been able to come back and do this and pick up all the things I didn't do when I was 19 and 20. Have you had a chance to read [Just Another Diamond Day producer] Joe Boyd's book, White Bicycles? I think it makes me understand Joe much better and understand how he approached things so differently to me. He approached things in a much more academic way - more musical, more knowledgeable. I was very much just an instinctive, uneducated person that just did what I did because I loved it. But Joe knew... Joe had an encyclopedic knowledge of music in a way that I didn't understand at all. All the people he brought to the sessions for Diamond Day, like Incredible String Band and Fairport Convention... I knew very little about British Folk music - he knew much more about it then I did, which is kind of why he made it into such a folky record. His book made me understand how he was at the time, whereas I didn't know him very well - and now I feel like I know him a bit better. What was your relationship with Boyd, and what was it like working with him? I've always thought it was interesting that both you and Nick Drake, two people produced by Boyd, have had much bigger success later in life than at the time of your initial releases. Unfortunately Nick didn't make it to have a second go around... did you happen to know Drake at the time? I can't say I knew him, but I did meet him a few times and obviously we were both in Joe's family and we were kind of siblings in that way - he was the big brother that got the attention! [Laughs] I so wish he could be here now - he was obviously going through a terrible time when I did know him. He hardly spoke, he could hardly speak at all. He would turn his back to people and face the wall and it was really distressing. How wonderful it would be for him to know what's happened. Do you see yourself making another record at any point in the near future? I would love to if the songs come by, and so far they are coming in a very slow trickle. I've got lots and lots of ideas running around in my head that I still haven't managed to catch and put down into songs, and FatCat would certainly like me to do another album, and in the U.S. its DeChristina... I feel like I owe them all so much, they've given me such wonderful opportunities. If I could come up with something more I'd like to give it to them. How did you come to have working relationships with FatCat and DeChristina? It was all just a series of coincidental meetings. Musicians who introduced me to other musicians who introduced me to other different musicians - who eventually lead me to FatCat. With DeChristina it was different because that was Devendra Banhart. He, first of all, introduced to Michael Gira and Young God [the label run by Gira] was maybe going to release Diamond Day, but then Michael changed his mind. Then Devendra said 'you must give it to Gary at DeCristina,' so I got in touch with Gary and I thought he was the most wonderful person and he's been fantastic - he put out Lookaftering as well, and the new collection. They've all been so wonderfully generous and thoughtful and kind to me. I haven't met a single person since I came back to music that I didn't like enormously. Everyone has been so great - maybe I've just been really lucky. Everyone says awful things about the music industry, [and] with the big guys, the big conglomerates, of course terrible things happen to people, [but] in this indie part of the music world, I wouldn't have a word said against them. Are you happier with your music career the second time around, as opposed to the first time around? [Laughing] Oh yes. The first one was full of frustration and big long spaces where nothing happened and I couldn't get through to anybody. This time it's just galloped along and it's been one wonderful thing after another and I've been swept along with it. I've also felt good this time around because I've had feedback, whereas before the only way you could tell if you were any good was if you sold records! 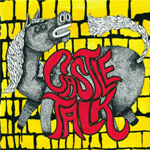 This time its not so much about selling records - its about people talking to one another. It has made this whole wonderful world of music and people understand me much better. You mentioned Devendra Banhart - what do you think of his music? Fabulous, luminous, clever... clever person he is, with fabulous imagery in his head. Beautiful, he's so beautiful! I'm so pleased with the world for having embraced him because I don't think they would have thirty years ago. It says so much to me that people have been able to understand him and take him for what he is rather than making him into something else. What are your thoughts on being categorized within the genre of Folk music over the years? [Laughing] I can't bear it! Oh god... do you know about the record shop [in the U.K.] called HMV? There's a big record chain here called HMV. Right from when Diamond Day came out in 2000 I've been having a fight with them about being in the Rock/Pop department rather than the Folk department - and they still did it with Lookaftering. But with this [Some Things Just Stick in Your Mind]... yay at last! I finally got into the HMV Rock/Pop department! [Laughs] I never put myself forward as a folk singer when I was young. It just never occurred to me to be a folk singer. I was just a singer. But the fact that I had a guitar always classified me as a folk singer - and I don't think of my music as folk music particularly, because to me [folk] means traditional, and I've never sung in that manner. I've never really looked back too far - I'm very keen on the present. Although there have been times in my life when I have tried to live like people had lived in previous centuries to see what it was like to live without modern trappings... But on the other hand I'm very glad to be living in the world that I am living with. I'm not a traditional singer, I just do what I do. How do you think your songwriting process has changed from Diamond Day and say, Lookaftering? The Diamond Day songs I wrote to try and not be thinking about myself all the time. 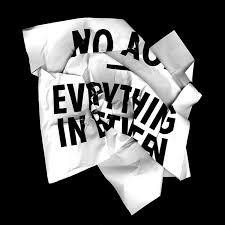 All of the songs on this new compilation, for instance - they are all very much love songs, sad songs. They are me songs. With Diamond Day I was trying to look outside myself and comment and paint pictures. When it came to Lookaftering, it went back much more to me songs and how I was feeling. And even more with what I'm writing just now, it's about feelings rather than pictures. What exactly triggered you to write again, to write Lookaftering? The different response to Diamond Day the second time around. When people were saying things about it, that made me realize that lots of people got it and didn't just think it was songs for kids or nursery rhymes or whatever - it just gave me courage. I know that's not very good, that you should have enough faith in yourself to push yourself forward, whatever anyone says. When nothing is said its very difficult to keep going. But then when people were saying positive things, it meant that when I picked up my guitar it didn't sound so dreadful to me. The songs started to come again, it was like unlocking a key. And you didn't play music at all between 1970 and the re-issue of Just Another Diamond Day? No, I didn't do anything at all. Did you find that you were immersing yourself in other people's records at all, or did it make you bitter to have a relationship with music? That's a great sentence. It made me bitter to have a relationship with music - that's perfect. That's exactly what happened. I so regret it. I regret all the music that I missed by turning my back on it altogether. But I'm gradually catching up now with listening to other people. Have any of your children wanted to pursue music? My oldest son has a lovely voice. He writes songs and plays guitar. He's never thought that he would pursue it, particularly because he does all kinds of other things. My other two children are very interested in music but they don't play it themselves. What do they think about your second go-around in music? They are very excited about it, and get swept along in it with me. They are wonderfully supportive. My youngest son was only 13 when this all started. He couldn't quite understand it or think of his mother as doing all this kind of stuff. She's the person that cooks him supper and brings him clean socks. [Laughs] But he's 21 now, and he's just great. He's so excited about it all, he's a college boy in America - he got a basketball scholarship. Do you see the influence of your music embodied in any contemporary artists? Sometimes I catch a bit here and there and think "was that just in the air, or did it come from my songs?" - I tend to think it's just in the air and it is everyone's... if there are things that are slightly similar they probably caught it from the same place I did. Certainly writing again. I'm doing a couple of shows in the next few months in the U.K. What I would love to do is have a new album by the end of next year. I'd love to be able to carry on a couple more years doing what I'm doing. After that, I was asked to write the story of Diamond Day. 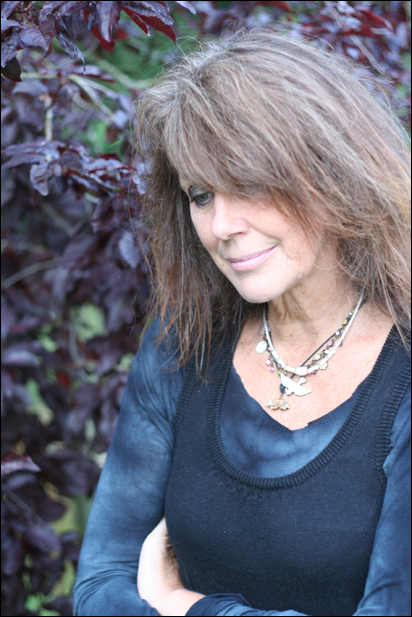 Vashti Bunyan's latest release, the self-explanatory Some Things Just Stick in Your Mind: Singles and Demos 1964 to 1967, which includes the title track written by Mick Jagger and Keith Richards, was released to enthusiastic response in October. In addition to that collection, Bunyan has also seen the reissue of Just Another Diamond Day, the release of the follow-up Lookaftering 35 years later, and the collaborative Prospect Hummer EP of re-worked Sung Tongs tracks with Animal Collective in 2005.